Heidi found her rightful place among the rule breakers and risk takers in her family. How learning the stories of people in our pasts can help us understand where we really belong. One of Heidi’s first leaf hints revealed her great-grandfather was in prison. This was definitely an intriguing way to start her family history journey with Ancestry—and she was hooked. 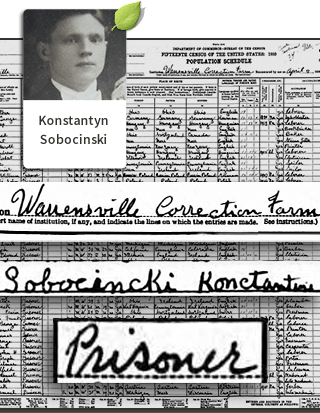 But who exactly was this Konstantyn Sobocinski she found in the 1930 census? And how did he end up in the slammer? Heidi also learned Konstantyn’s age in 1930, place of birth, occupation, languages spoken, education level, and more in this census record. What can the U.S. Census tell you about your own family? More sleuthing only made the story more mysterious. 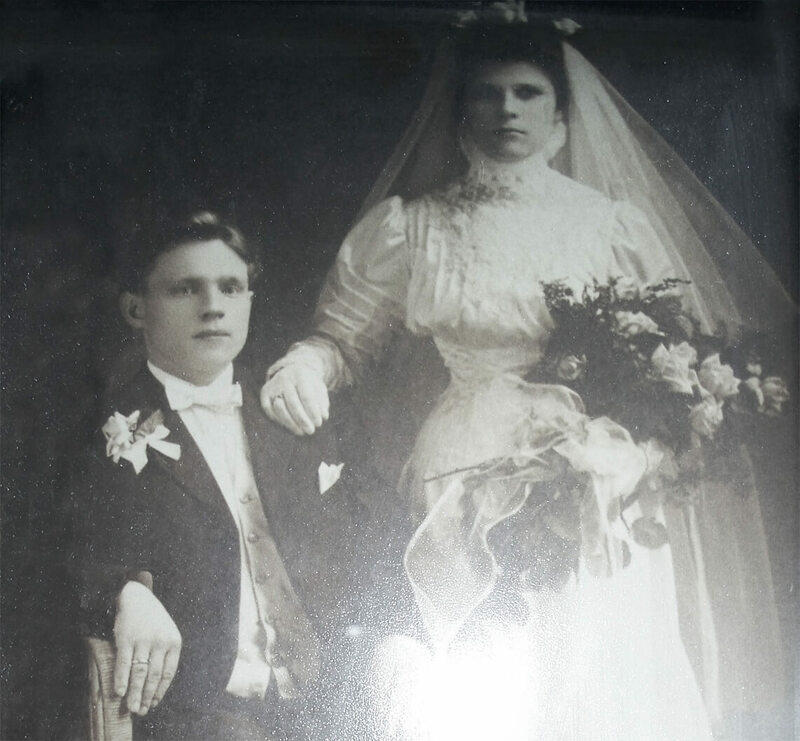 Heidi pieced together part of Konstantyn’s life, from his birth in Poland to his immigration to Ohio in the early 1900s. The 1920 census showed him with his wife and daughter. 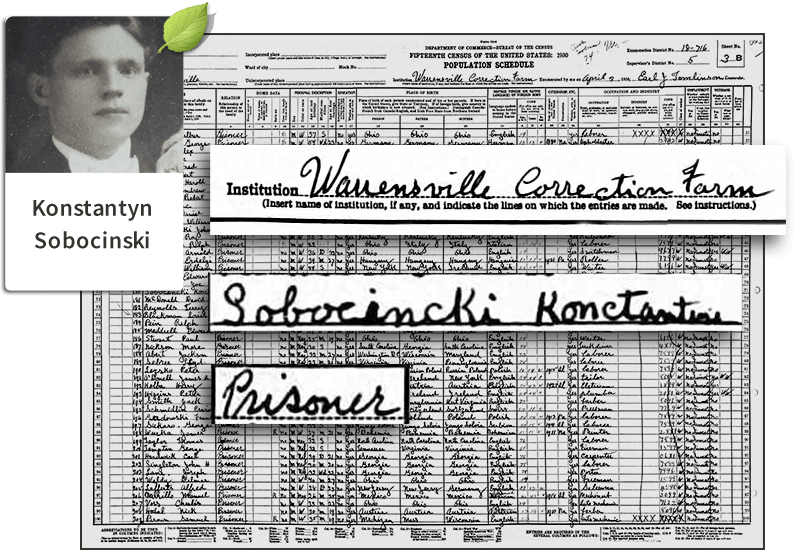 But the 1930 census had him at the Warrensville Correction Farm. Heidi’s grandmother Helen remembered getting dressed up and going to visit her father at a farm on Sundays. But she didn’t remember exactly why he didn’t live with the family. Her mother added some color to the story. And it was certainly colorful. There was family lore that Konstantyn was caught making bootleg moonshine in a bathtub, then poured it out and ran away as the police came to get him. With those long-forgotten details uncovered, Heidi had an epiphany: the adventurous spirit she had always felt was truly in her bloodline. Inspired by her discovery, Heidi decided to follow her wild side. 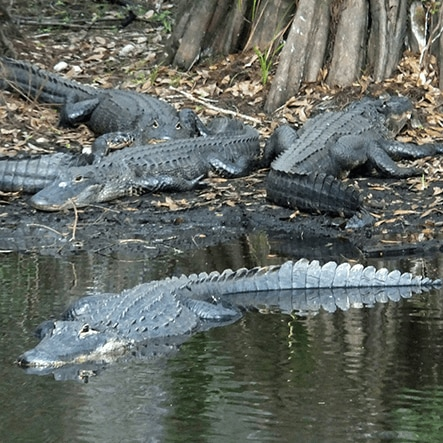 She quit her office desk job, and headed for the swamps of Florida. Today Heidi dodges alligators and snakes as she leads eco tours a million miles away from the life she used to lead. Her biggest regret now? Not getting to share a drink of moonshine with her great-grandfather. Your story is just as inspiring. Find it with Ancestry.